Cindy Lewis grew up in Thornbury, received her Bachelor of Science at McMaster University with a major in Biology and minor in Chemistry and Psychology in 1991. After graduating from Chiropody in 1994 she started her private practice in Collingwood. Since that time, she has been fortunate enough to expand to employ two associates and two assistants. She is currently a member of the Ontario Society of Chiropodists and the Canadian Federation of Podiatric Medicine, and sits on two Boards at the College of Chiropodists of Ontario. Her achievements and patient support have allowed for expansion of the business to a larger facility. In 2010, she was awarded the Heritage Award for Commercial Restoration. She looks forward to meeting all the foot care needs of Collingwood and the surrounding areas in the future. Originally from Midland, Ontario, Ryan graduated from the University of Toronto in 2008, majoring in Biochemistry and Human Biology. In 2013, he graduated with his Chiropody credentials from The Michener Institute. Following some time practicing in St. John’s Newfoundland, Ryan was ready to come back to the Georgian Bay area, and was fortunate to find a place with Cindy Lewis and Associates in Collingwood, Ontario. Laurie grew up in Collingwood, Ontario and enjoys practicing Chiropody in her home town. She attended the University of Guelph where she graduated with a major in Biological Science and a minor in nutrition. 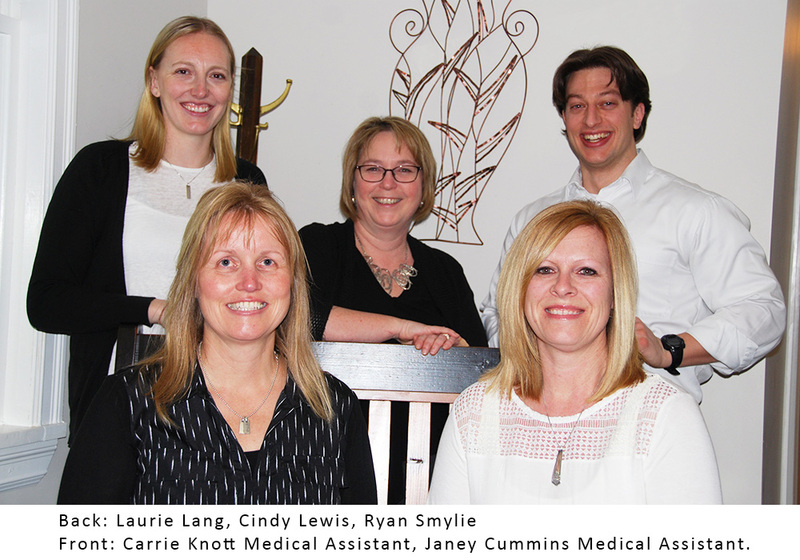 In 2009, following her completion of the Chiropody program at the Michener Institute, Laurie joined Cindy’s growing practice. As she continues to expand her career, she welcomes existing and new clientele. * Our services are not covered by OHIP, however, most third party insurance plans do cover the service either in part or in full. Veterans Affairs also covers these services.